MBBS, M.S, Orth (Gold Medalist), D-Orth. Dr Amyn Rajani after being honoured with a Gold Medal in Orthopaedics from the University of Mumbai, and receiving Dr. M V Sant prize and Lupin prize for excellence in Orthopaedics, Dr. Rajani took extensive super-specialty training in the field of Arthroscop , Sports Medicine and Joint Replacement at various reputed Centres in Canada, United Kingdom, Australia, Germany ,Korea and Singapore. He also holds the Limca Book of Records for Successfully operating the oldest patient of 98yrs for a Total Knee Replacement. Dr Amyn Rajani has published Various Scientific Papers in peer reviewed journals and has been a faculty at various Arthroscopy & Joint Replacement Conferences and Workshops. 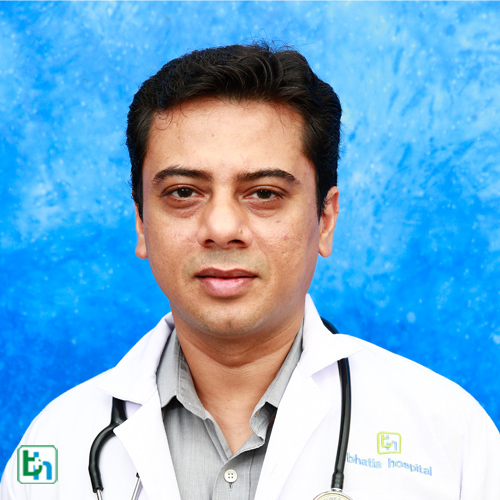 He is a member of International Society of Arthroscopy, Knee Surgery and Orthopaedics Sports Medicine, Indian Arthroscopy Society and Indian Society of Hip and Knee Surgeons. Gold Medal in Orthopaedics from University of Mumbai Year 2004-2005.